The firm comprises lawyers, tax lawyers and other professionals well-versed to address all of the issues faced by healthcare industry. 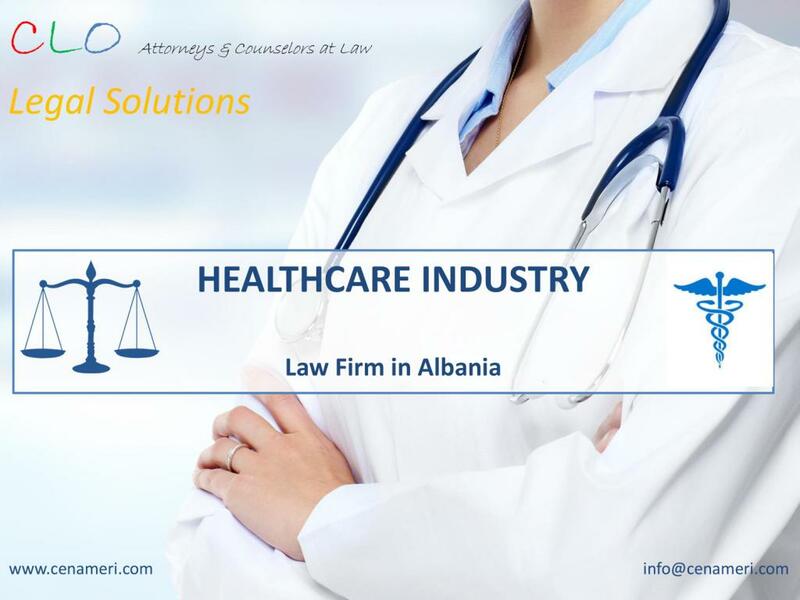 We have launced to offer a comprehensive range of legal services to address increasing issues faced by healthcare companies in Albania. Healthcare is one of the largest, fastest growing industries in the world. It’s also the mos regulated, with rapidly changing laws and regulations that often conflict from one contry to another. Healthcare companies face trying to understand how these laws impact their market and M&A strategies while contending with rising R&D costs, loss and patent protection of blockbuster drugs, pricing pressures, and competition from generics. Rapid convergence of the healthcare and technology sectors requires even more legal expertise given the additional data privacy and intellectual property concernes. For further information about our services or to discuss a particular matter in more detail, please contact us on +355 44 314 122 or info@cenameri.com.